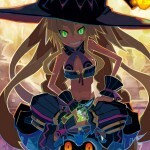 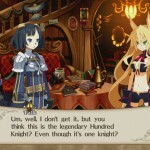 From the company who brought you Disgaea, Time and Eternity, and The Guided Fate Paradox comes the next RPG installment, The Witch and the Hundred Knight. 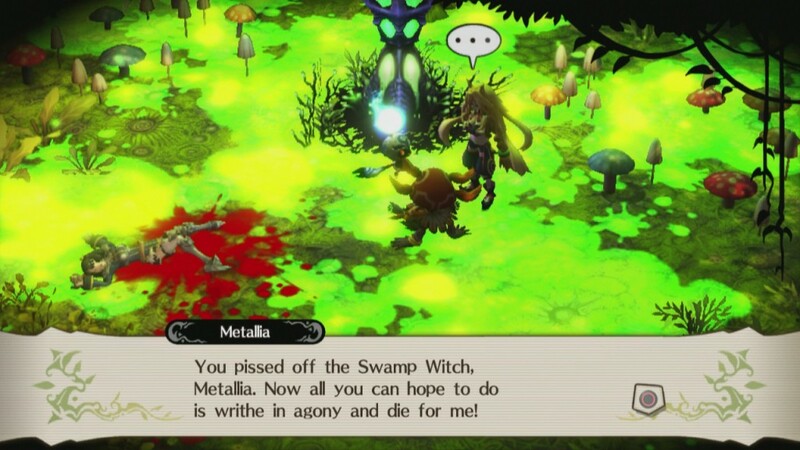 Meet the Swamp Witch Metallia whose ambitions can only be measured with her language. 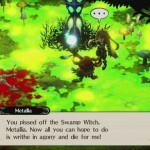 Metallia over the last 100 years wants to take over the forest by spreading her swamp but in her way stands the Forest Witch Malia. 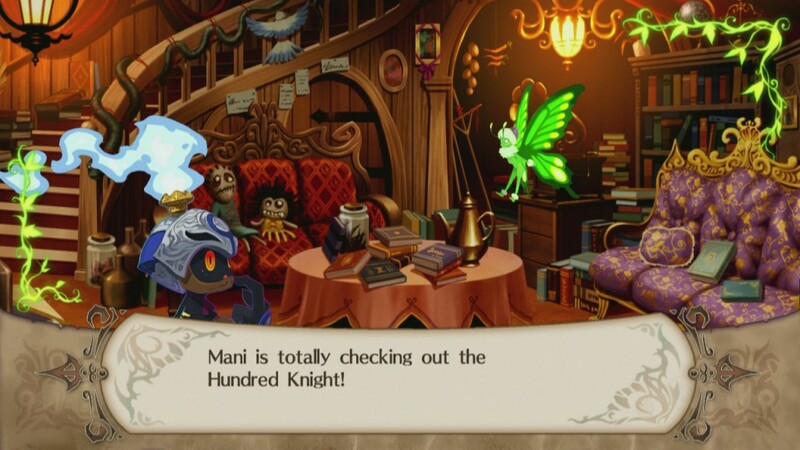 Since Metallia doesn’t like to leave her comfortable swampy lands, she summons the legendary Hundred Knight to aid her. 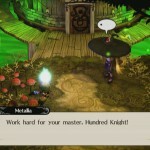 Follow the Hundred Knight as he releases pillars and fills the world with Metallia’s swamp in The Witch and the Hundred Knight. 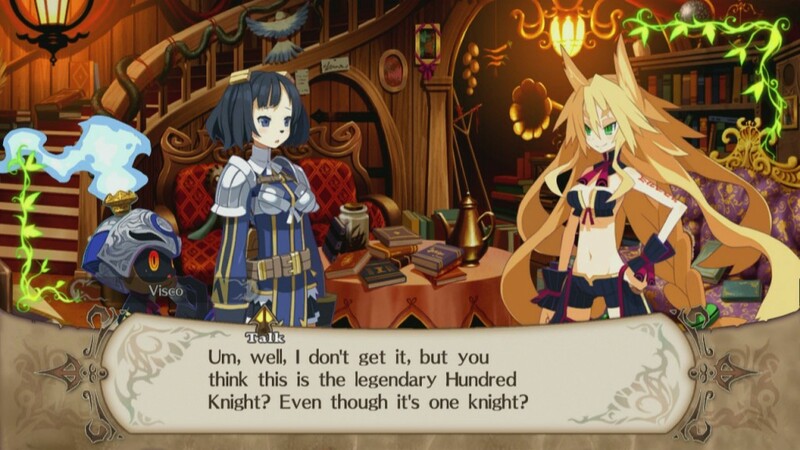 Unlike the other games Nis America has released, The Witch and the Hundred Knight is an action RPG where you assume the role of the Hundred Knight. 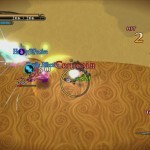 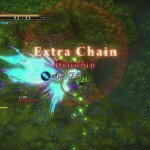 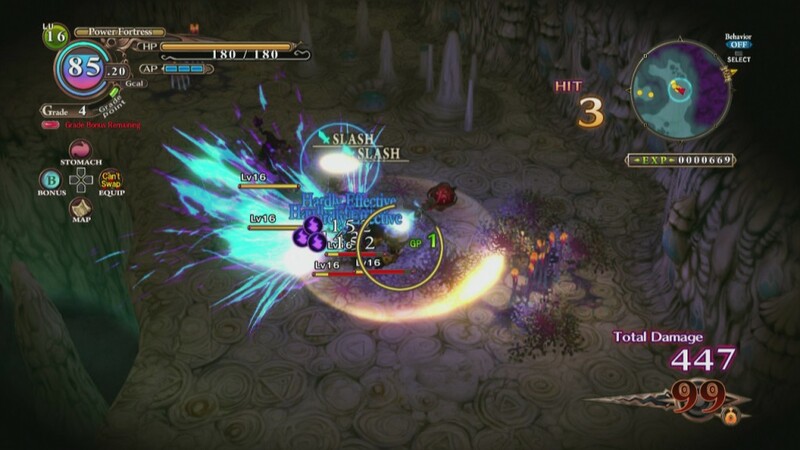 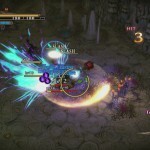 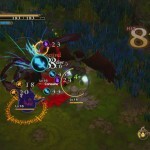 Hundred Knight is able to equip up to 5 weapons at a time that ranges from Slashing, Blunt and Magic. 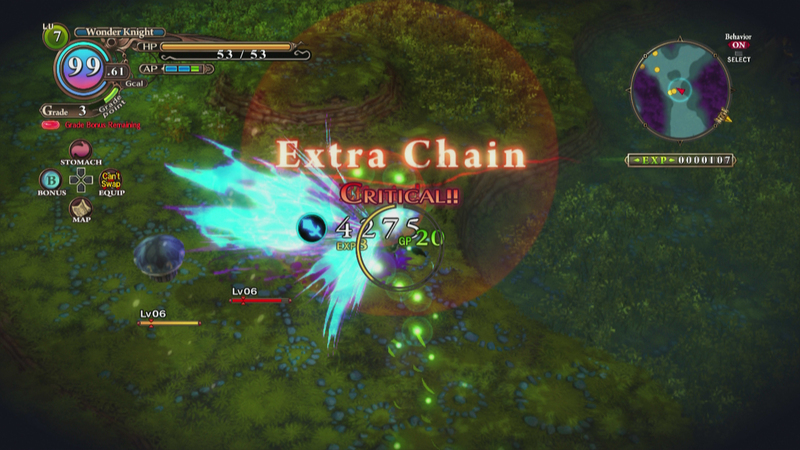 Each weapon has a dice number on it, if put in order you can increase Hundred Knight‘s hit rate. 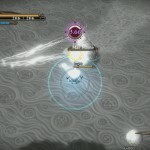 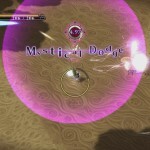 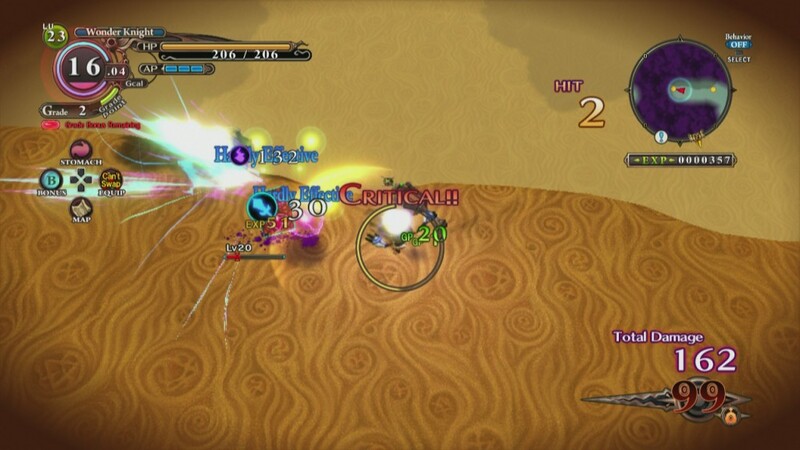 Each attack uses up stamina as well does jumping, running, guarding and evading. Don’t worry your stamina gauge refills fast. 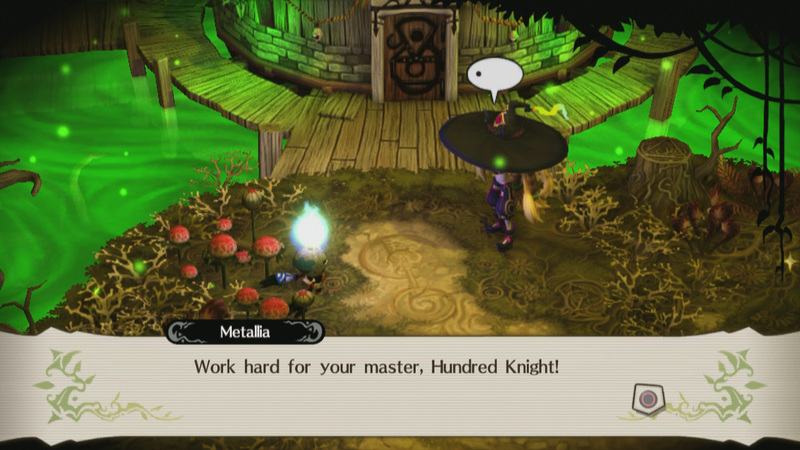 The Hundred Knight is a summoned familiar, he’s linked to Metallia’s magic. 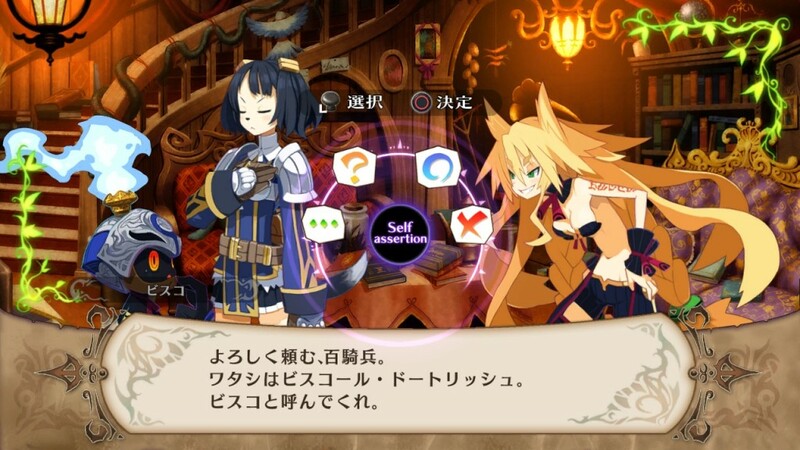 When he’s in the field his “GIGAcal” (life force) will decrease but the Hundred Knight does have a few tricks of his own. 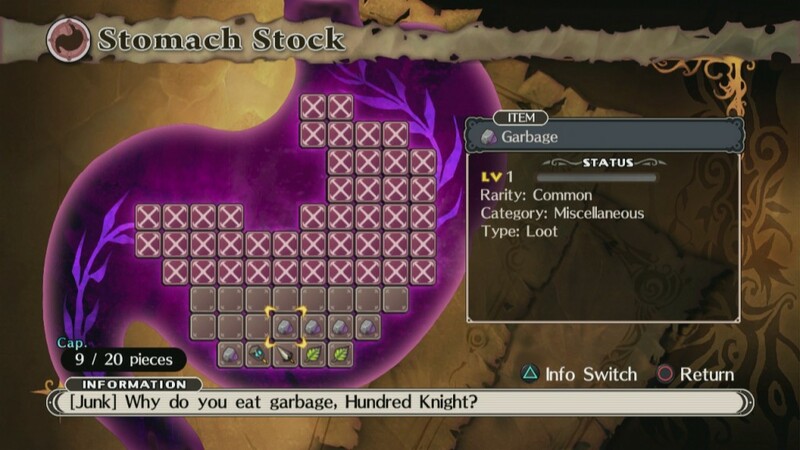 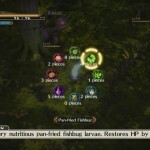 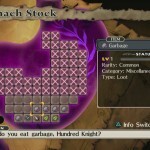 The Hundred Knight can “Consume” enemies to replenish some GIGAcal along with items stored in his stomach. 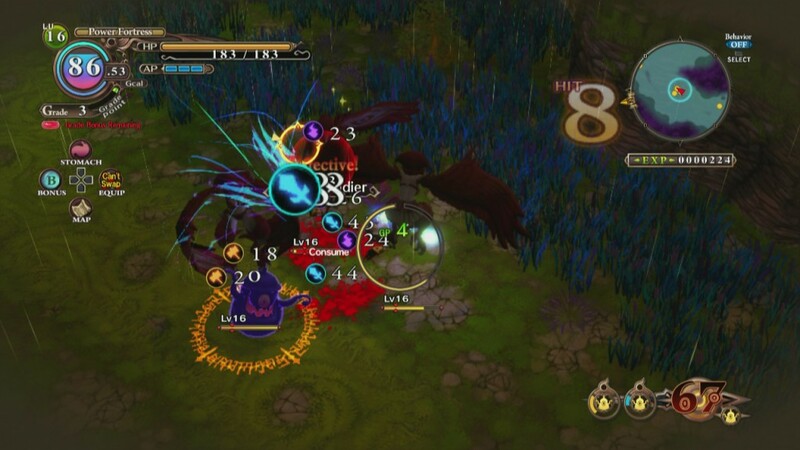 When you fight monsters and collect items they will be stored in Hundred Knight‘s stomach and can be received when you go back to base. 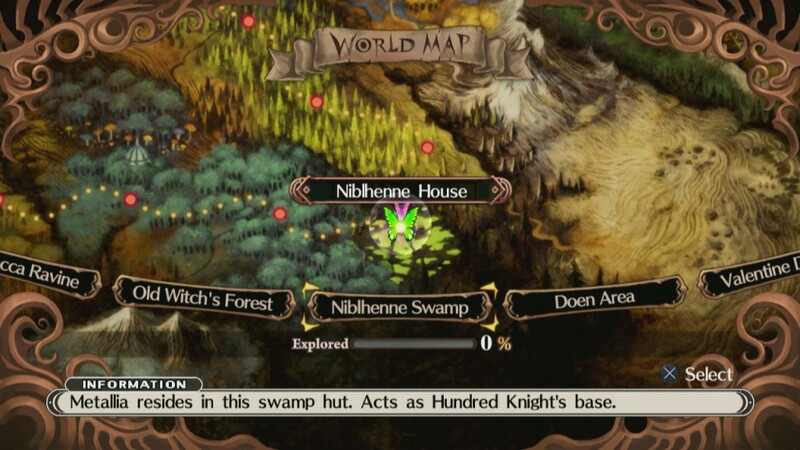 When exploring the maps you have a set time to achieve your mission. 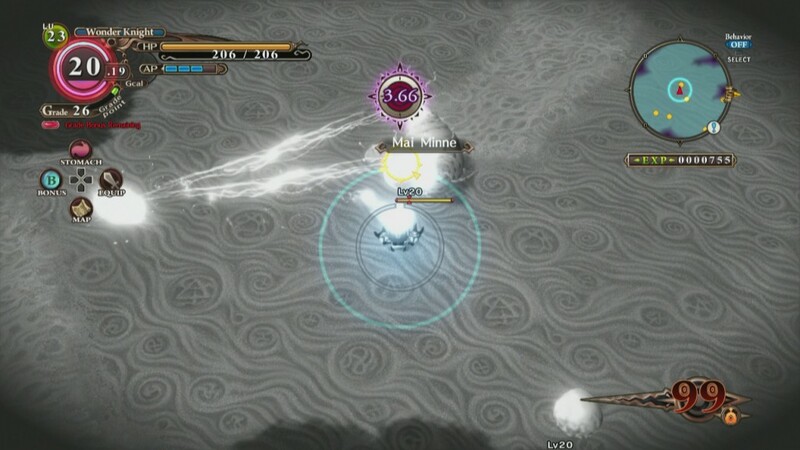 You can find pillars (checkpoints) along the way that let you warp to any active pillars on the map. 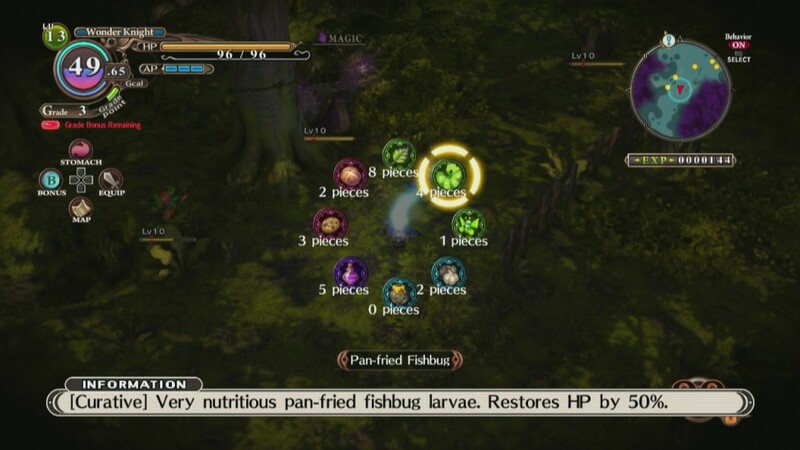 As you kill monsters you get “grades” which can be used at the released pillars to gain beneficial effects for HP, TP, ATK, DEF, Bonus points for items and refilling 10% of your GIGAcal (only until you go back to base or complete your mission). 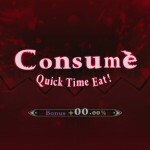 If you give up, downed and/or run out of GIGAcal you lose all items in your stomach and 50% of all EXP you have earned. 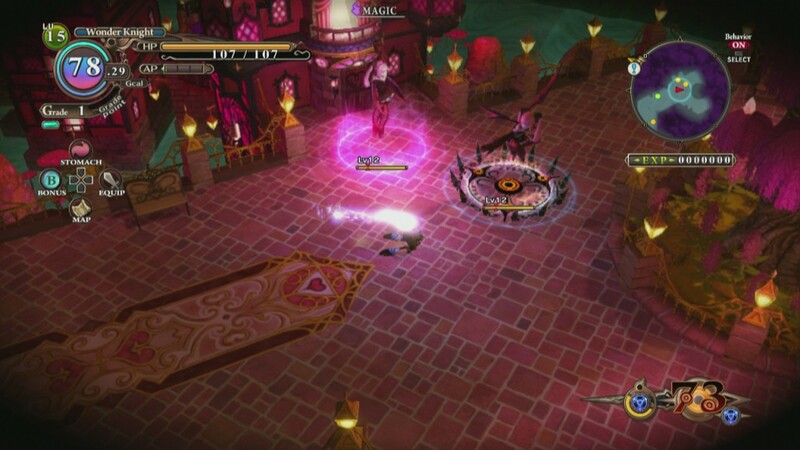 When you come across towns you can enter any building or you can dominate them. 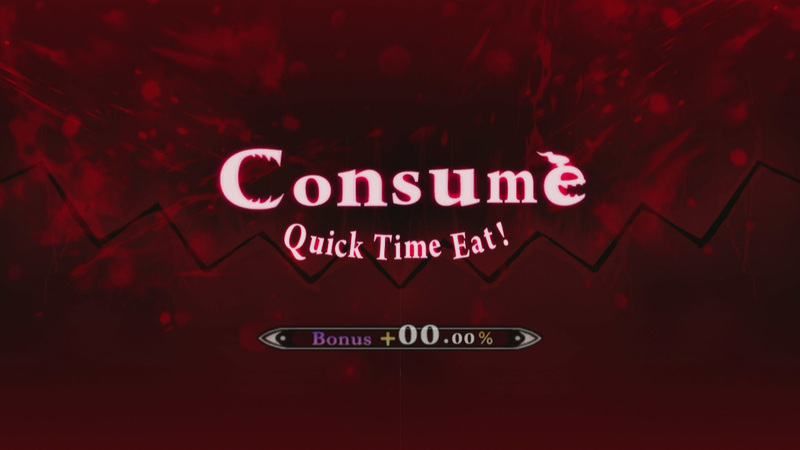 When you approach the door you will receive 2 options: Visit, and Dominate. 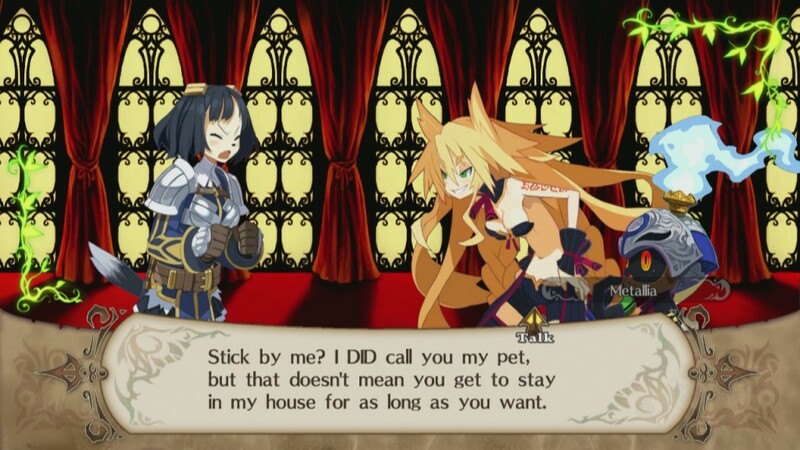 Keep in mind your current level and whose house it is because they might not be a pushover. 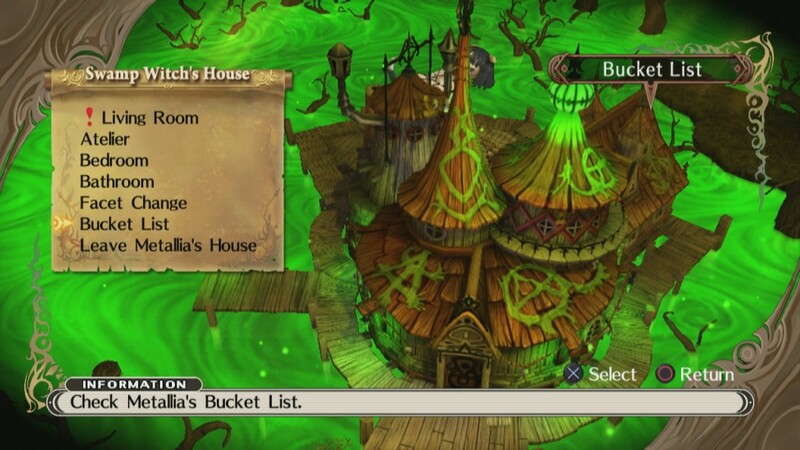 When you dominate a house you receive the Witches Dominance and whatever family treasure was in that house. 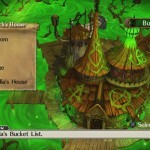 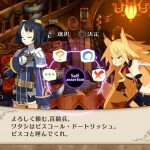 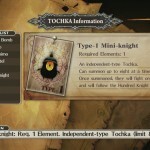 The Hundred Knight can learn Tochka which are abilities he gets from missions, finding them in chests or from Metallia. 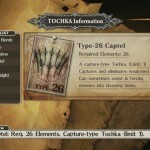 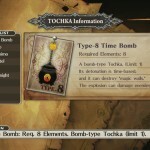 Each Tochka takes a set number of “Elements” to use and most of the Tochka are based off Hundred Knight’s current level or stats. 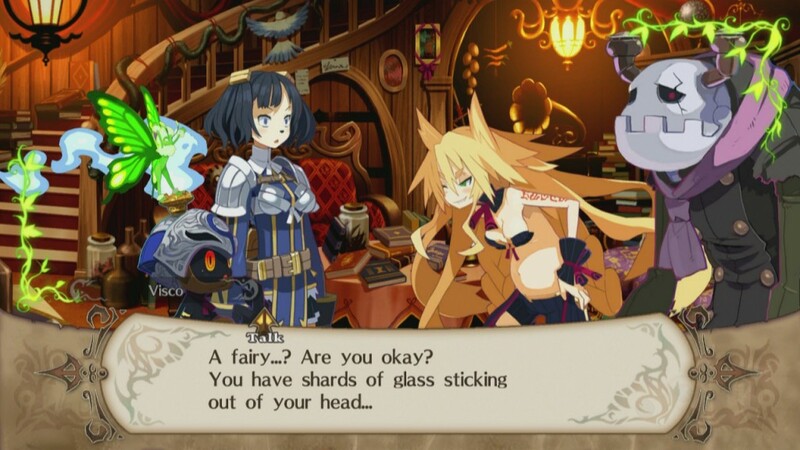 The Facet is Hundred Knight’s helmet, up to 3 Facets can be equipped with 1 main and 2 subs. 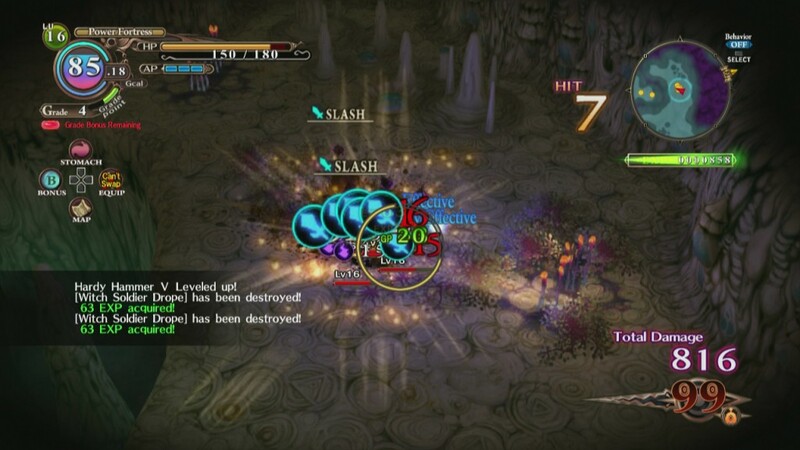 Each Facet can be leveled and Hundred Knight can benefit off the Facet’s skills and stat boosts. 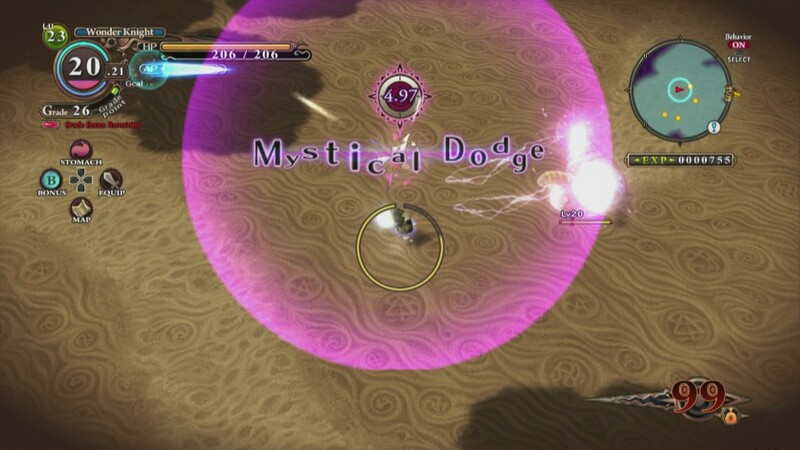 Some Facets are attack oriented but low magical defence, while others are high defence but low attack. 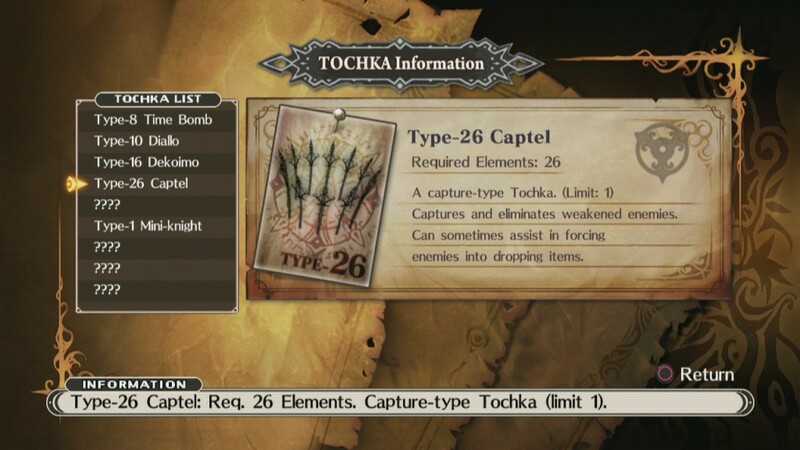 Just keep in mind that what you have equipped as your main Facet will take priority over the others. 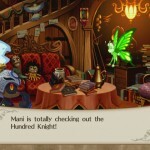 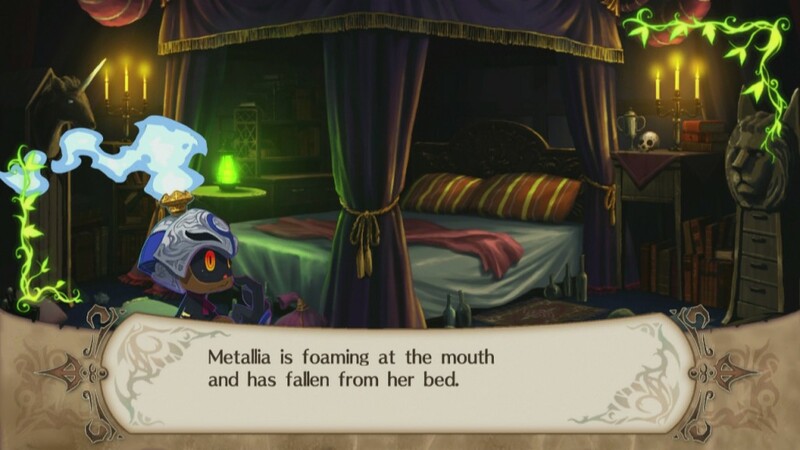 You can only equip a Facet in Metallia’s house and the main equipped Facet gets 100% of the exp while the subs get 33%. 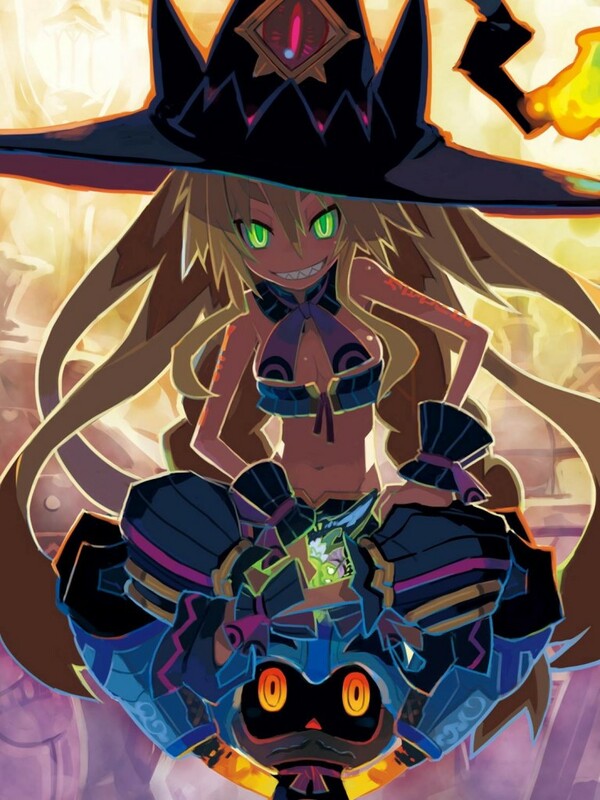 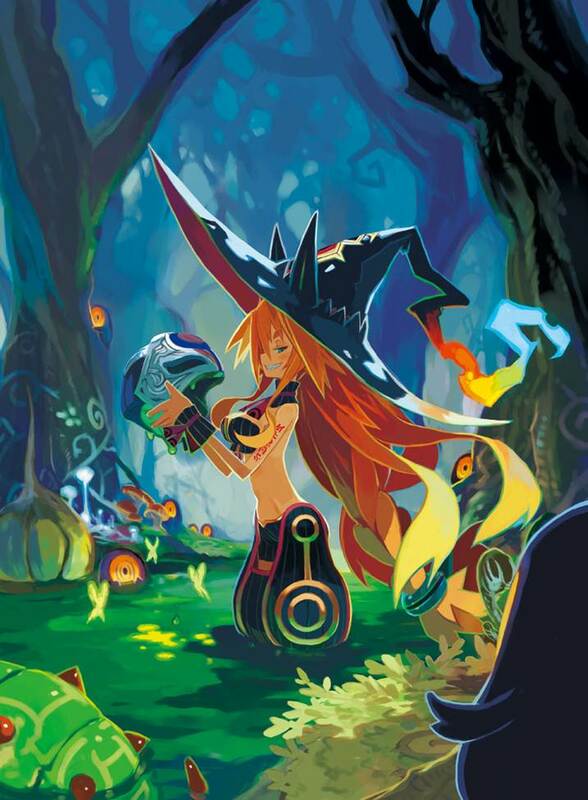 When I first heard about this game 2 years ago I was excited and after getting to play The Witch and the Hundred Knight I feel it lived up to the wait. 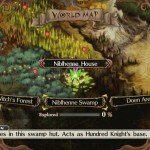 I recommend this to anyone who plays action/adventure RPGs like Zelda or Y’s. 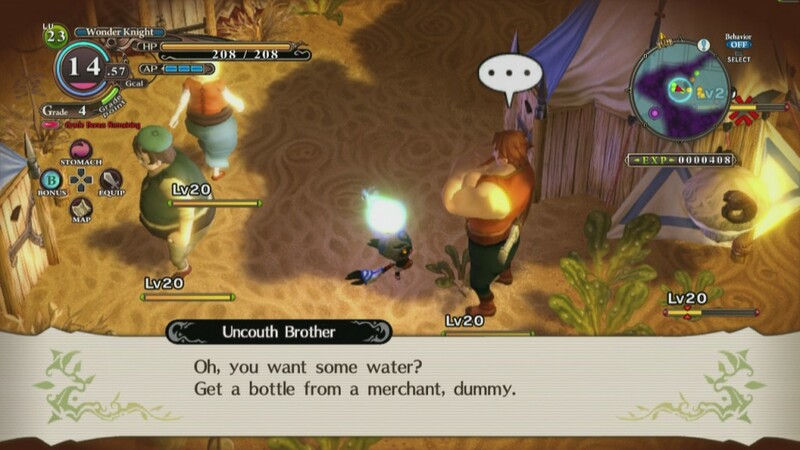 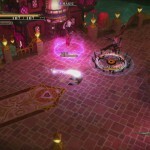 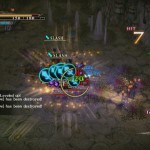 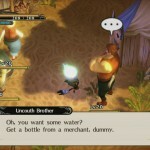 This high action and comical RPG is what we needed. 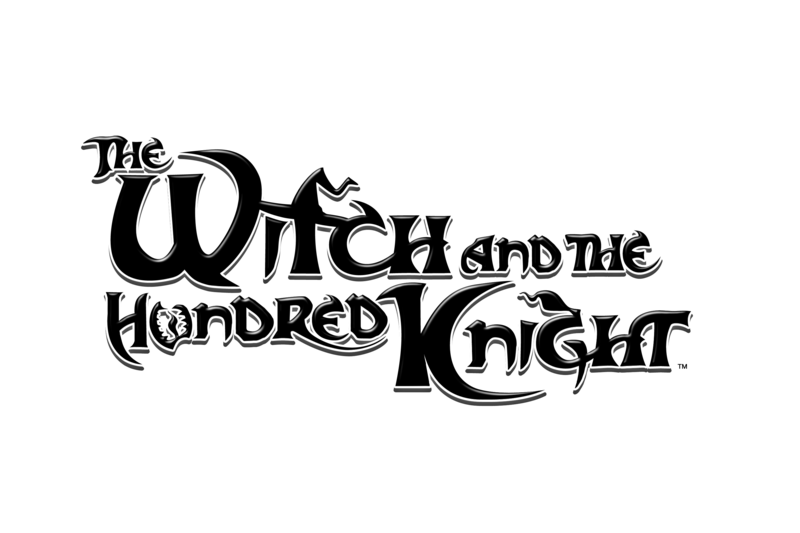 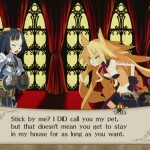 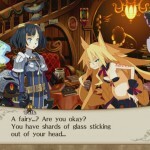 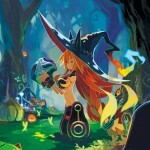 Coming out March 25th to the North America and March 21st to Europe, The Witch and the Hundred Knight can be purchased on Nis America‘s website, PSN, retail stores and online retail stores. 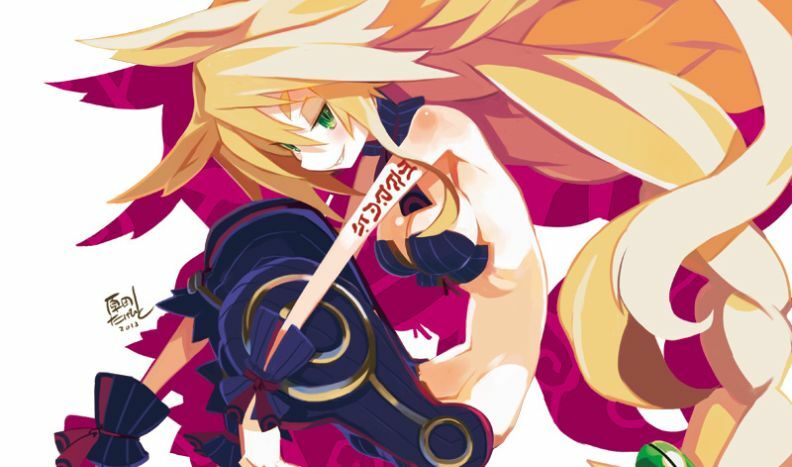 Help the Hundred Knight save the innocent or destroy the world, the choice is yours.